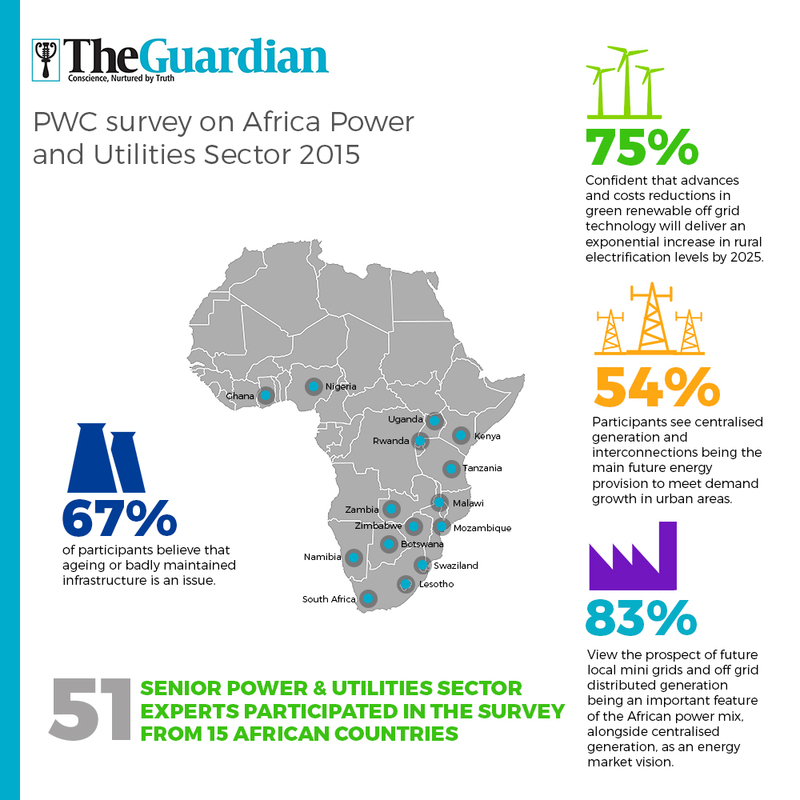 PWC recently released the general survey on Africa Power and Utilities Sector 2015 at the event. The survey, which looked at the future of electricity in Africa, involved 51 senior power and utility sector participants from 15 countries on the continent – Botswana, Ghana, Kenya, Lesotho, Malawi, Mozambique, Namibia, Nigeria, Rwanda, South Africa, Swaziland, Tanzania, Uganda, Zambia and Zimbabwe. 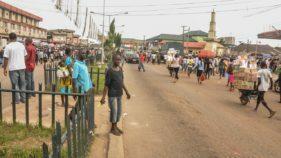 According to the study, Africa faces a huge electricity demand challenge, and the existing infrastructure is insufficient to meet current requirements, or of the coming decades. “Ageing or badly maintained infrastructure and this was an issue of high concern to 67 per cent of those interviewed. This is despite estimates made that the availability of generation by ten percentage points could add significantly to a country’s Gross Domestic Product. 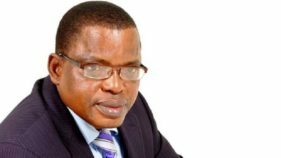 “Insufficient generation and creaking infrastructure has meant that planned power outages and load shedding is now a well-established feature of life for many African power consumers. It is a challenge we are also facing in Rwanda with recent power outages”, it noted. However, most participants were optimistic that by 2025, the challenge of finding a market design that balances investment, affordability and access issues will have been resolved. About 75 per cent of the survey respondents were confident that advances and costs reductions in green renewable off grid technology will deliver an exponential increase in rural electrification levels by 2025. The prospect of future local mini grids and off grid distributed generation being an important feature of the African power mix, alongside centralised generation, is an energy market vision that is viewed as likely by 83 per cent of the survey participants. But the majority of the survey participants (54 per cent) continue to see centralised generation and interconnections being the main future energy provision to meet demand growth in urban areas. The vast majority of participants said that power utility business models would be transformed in the future. Rwanda has not been left behind in transforming its business model.